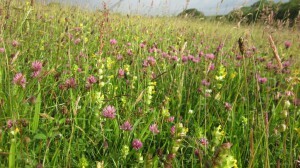 The harvested fields at Wyndrush Pastures SSSI are two superb wildflower meadows. 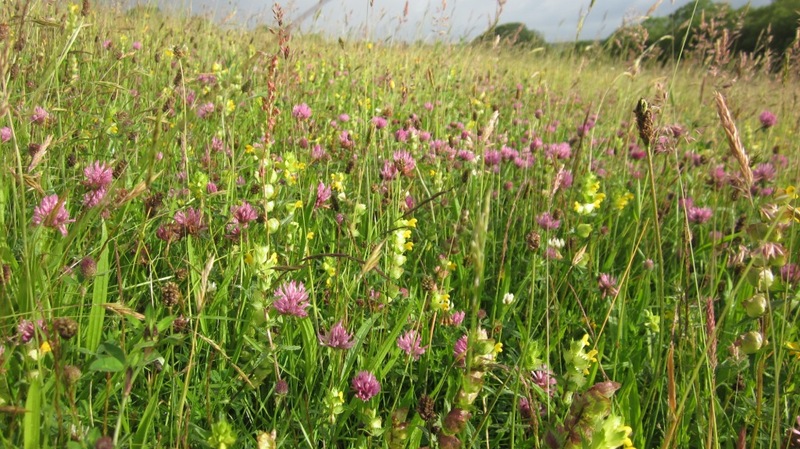 A world apart from the green fields covering much of the local countryside, here you can soak up the colours of dozens of plants: zigzag clover, betony, rough hawkbit, yellow rattle, early marsh orchid, yellow oat grass, devil’s bit scabious, bird’s foot trefoil…. We harvest seed from here in August and this bag will contain some of these species, together with others from the list below. It would be especially suitable for meadow restoration projects on neutral to slightly acidic soils, where soil fertility has dropped but wildflowers have yet to appear in strength.